Thirty five years ago, Spider-Man returned from Secret Wars wearing a stylish black and white costume. His costume was actually a living symbiote that eventually became one of Spider-Man’s deadliest enemies. But for a few months, Peter Parker and the symbiote were inseparable. Now, Marvel is reuniting them in a new flashback adventure. 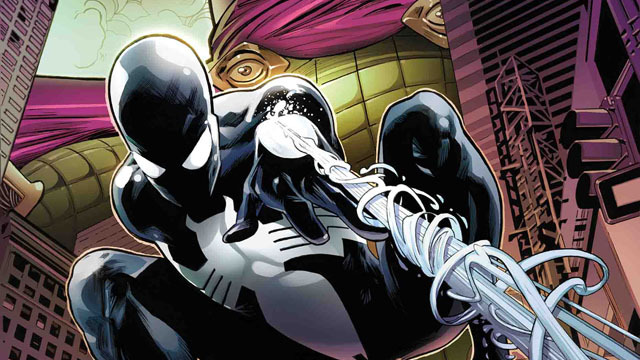 Peter David and artist Greg Land are joining forces for Symbiote Spider-Man, a five-issue miniseries. It will depict a previously untold tale that will pit Peter and the symbiote against Mysterio. Marvel editor Devin Lewis insisted that the new story is in-continuity, even though Spider-Man never fought Mysterio during that time period. “I know a lot of y’all out there in Mighty Marveldom are going to scoff at that – that this story is in-continuity – but TRUST ME! Peter, Greg and I have all done our homework,” said Lewis. “We’ve read and reread the original ALIEN COSTUME SAGA in its entirety, revisited old stories and talked around those classics literally, for hours,” added Lewis. “This is Peter Parker as Spider-Man, wearing one of the most iconic costumes in all of comics, and we’re treating this story will the heart, seriousness and respect that that entails as a result.” Lewis also noted that the story will feature Black Cat, Aunt May, and other period specific members of Spidey’s supporting cast. Peter continued to wear a black costume after the symbiote was revealed to be alive. However, Peter retired that costume after Venom emerged, and traumatized his wife, Mary Jane. Since then, Peter has occasionally brought back the black costume. Peter even briefly wore the symbiote again in Amazing Spider-Man #800, when they teamed up to stop Red Goblin. 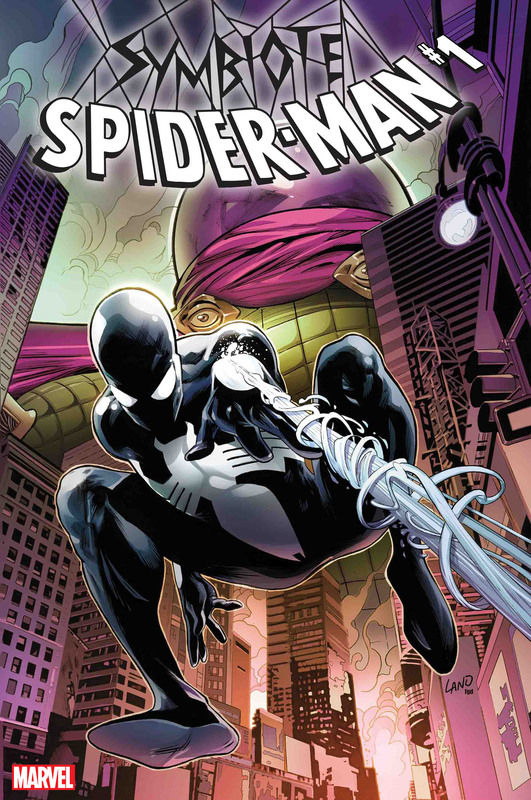 Symbiote Spider-Man #1 is coming to comic stores in April. Are you excited to revisit this chapter of Spider-Man’s history? Let us know in the comment section below!